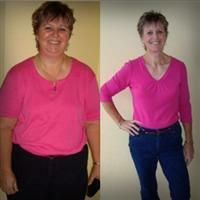 Client Spotlight – Kathy- 124 lbs gone! I lost 124 pounds… “an entire unhealthy person.” I am off of 10 prescription medications including insulin, cholesterol and acid reflux meds. I no longer am a Type 2 diabetic. It was easy, quick, I wasn’t hungry, and I had a wonderful, supportive health coach who was there every step of the way! Since reaching my health goals, I have easily been maintaining with the healthy habits I learned. I would recommend this plan to everyone!! Call your Wallace Fitness today! Remember, we can support you wherever you are. We have tools, strategies, tips, and support you will need to make Health a long-term commitment. Don’t go it alone! Your success long-term isn’t as secure. If you or someone you care need help please contact us. We are happy to help! Please forward this email on to someone you know- it may save a life!